When things aren’t going well or we feel like we don’t have enough time, then we work harder. It’s an impulsive instinct because we’re not accessing the logical side of our brain at that time because we’re stressed, and when we’re stressed we go into fight, flight or freeze mode. That means that we lose access to the important logical part that helps us know how to solve problems. It keeps us stuck. We have to slow down and get perspective on our situation so that we can better solve problems. Learn some ways to be smarter in the way that you do things so that you don’t have to work harder. On this show, we talk about ways to be smarter in the way that we do things so that we don’t have to work harder because that seems to be the first instinct. When things aren’t going well or we feel like we don’t have enough time, then we work harder. It’s just an impulsive instinct because we’re not really accessing the logical side of our brain at that time because we’re stressed and when we’re stressed we go into fight, flight or freeze mode. That means that we lose access to the important logical part that helps us to solve problems. It keeps us stuck. It’s crazy. We have to slow down and get perspective on our situation so that we can better solve problems. One of the things that we do on a daily basis and we do it often is we make decisions. I want to talk about making decisions. Not working harder would be by working smarter. We do that by making better decisions. It’s not just by making better decisions, it’s also by making fewer decisions. One of the things that we do when we’re faced with a lot of decisions is we get overwhelmed and overloaded and we don’t realize how many decisions we make in a day. We can set up structures for ourselves to make it easier so we make less decisions because the more decisions we have to make, the more we get full. Like a glass of water just gets full and you feel like you can’t make any more decisions. I don’t know if you’ve ever felt that way, but something as simple as picking out the restaurant that you’re going to go to, I know some evenings I feel so tired that I don’t want to make that decision. I want someone else to make it for me or make other decisions for me that I am emotionally drained. Part of that is from all the decisions that I had to make throughout the day. Decisions about information that was coming at me and deciding what to let in and what to put out. 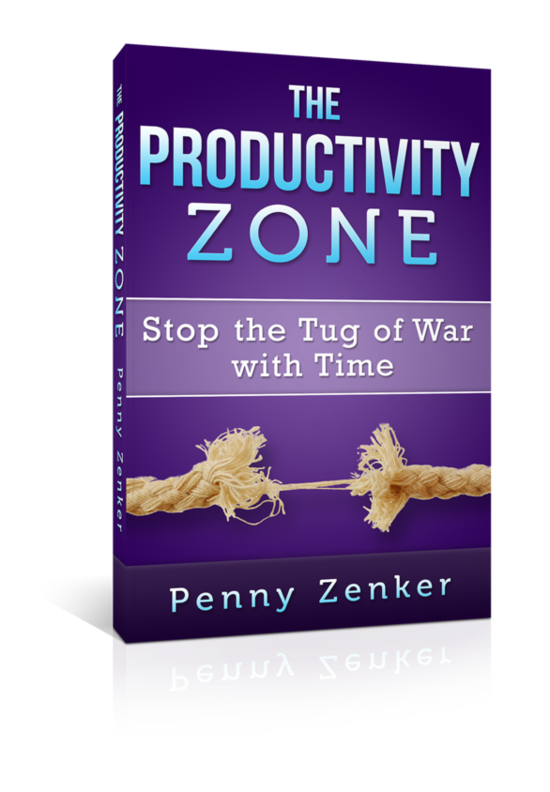 If we take a look at my productivity curve, the framework that I use in my bestselling book, the Productivity Zone, it gives us some insight also around our decision making. When we’re in the zone and we’re taking a look at the ten core drivers that drive our productivity, we’re optimizing the number of decisions that we’re making and the speed at which we make those decisions. How To Solve Problems: When things aren’t going well or we feel like we don’t have enough time, then we work harder. That helps us to be more productive because I believe the decision-making is at the heart of productivity. I did a chapter for that in a book that’s coming out called Essential Wisdom. For these purposes, let’s take a look at when we’re not in the zone. The impact is on our decision making. We’re either procrastinating or we’re in a motive, perfectionism or obsession. If we think about that, if we’re overthinking something, which is where I go, if we’re overthinking something, then we’re delaying making a decision because we feel like we need more information. We need to analyze it further. We need to prepare more, whatever it is. We’re outside of that 80/20 where we’re spending as much time on that 20% that we spent on the 80%. We’re not recognizing that in that particular situation it may not be needed. Our decision making is impaired when we’re in that over functioning mode. On the other side, the same is true as our decision making is impaired. We’re not making any decisions when we’re avoiding something. When we want to procrastinate something, we’re leaving that decision or we’re making the decision not to make the decision at this time, which you could say is a decision, but we know that we have to eventually come to a decision about making it. Same with the over functioning side. It takes up energy in the background. The longer that we stay in indecision, the more stress we create for ourselves. When I say stress, it’s a pressure. It’s a resistance. Let me give a totally different instance to maybe help you understand this. If you’ve ever been in a relationship and that relationship was strained, you weren’t sure whether you were going to continue in that relationship either because you weren’t sure that you wanted to be in it or your partner didn’t want to be in it. That time of indecision is the most stressful time because you’re not moving forward because you’re unsure. You’re just staying still and that doesn’t allow you to get any feedback. It is a stuck state when you’re in indecision. What you want to do when you’re in indecision and you recognize that is you want to get into decision-making and make the decisions faster. What if you could remove some of those decisions entirely and make your life a little bit easier? How do you do that? Will you do that by adding criteria for different types of decision making? It makes it easier and faster. What’s the criteria by which you’re going to make a decision of what you’re going to buy? If you know that upfront, then you don’t need to spend hours walking around the shop to identify, “This looks good. I’m not sure which one I want.” If you can identify, “Price is going to be an objective. The quality of the picture is going to be an objective,” you write down maybe five different things that you’re going to use to make that decision. It’s going to help you make that decision much faster and it’s going to take the stress and the resistance away because you’re using that structure to support you. Other types of things are when we create rules for ourselves or other structures. I heard this from Darren Hardy. He went to interview Steve Jobs and some great leaders and one of the things that he noticed was how well they protect their time. The rules that they had around protecting their time made it so they had to make fewer decisions. Once somebody got on his calendar, then he was dedicated and gave that person his full attention, but you had to go through hoops and different things in order to get on his calendar because there was a qualification process. The longer that we stay in indecision, the more stress we create for ourselves. The assistance would help to see what’s the objective or is it necessarily that Steve meets with you or maybe somebody else and so forth. Other people would be helping to make that decision, so that at the end of the day, he didn’t need to make the decision. It was already determined based on the pre-determined qualification means that that time was going to be important and he should give his full dedication to whoever he was meeting with. That is in a lot of different areas of our life. We can create these rules, these boundaries, these criteria in different areas that help us so that we don’t have to make those decisions over and over again. They can be made for us. Also, by creating rituals for ourselves, that reduces the number of decisions that we have to make too. You don’t think about, “Do I brush my teeth today or not?” You just do it. You do it because it’s part of your ritual. You’re not deciding on it anymore. Put yourself into creating rituals, to creating rules and boundaries around when you come home. You don’t need to decide what you’re going to do when you come home, if you’ve already decided, here’s how I go through a transition process and here are the rules. I don’t touch my phone, I don’t get on TV. You know what you’re not going to do and then you can also say what you are going to do. I know it’s easier said than done. It does need to be put into place and it needs to be practiced. Any new habit, putting it into place needs to be practiced. These tips and tricks are going to help you to reduce the number of decisions that you have to make. At the end of the day, it’s going to boost your energy because you’re making less decisions. You’re going to have less resistance throughout the day, and that means that you’re going to have more energy and more focus to dedicate on those things that are most important and make the kinds of decisions that are most important for you to make. That’s a little tip around decision making and how you can take back time by reducing the number of decisions that you need to make on a daily basis. My name is Penny Zenker and you’re listening to Take back Time. We’ll see you in the next episode.